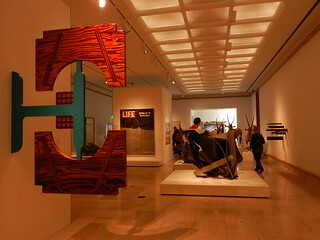 After two years and much anticipation, the Cranbrook Art Museum re-opened 11-11-11 with their first exhibition in the renovated space. 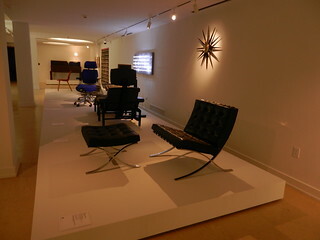 Designed by Eliel and Eero Saarinen and opened in 1942 the museum was due for some sprucing up. 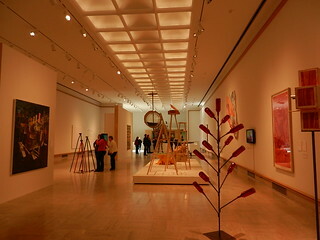 Additionally the museum was expanded by 20,000 sq. ft. with the attachment of the new collections wing. To celebrate the grand re-opening the museum is offering expanded hours and tours, lectures and events for 11 days, and each day the museum will be open for, you guessed it, 11 hours.These special tours are only offered until November 21, don’t miss your chance to see the vault! Kris was itching to get in an old car and go for a scenic drive; between the two lane roads, magnificent homes, and remaining fall color, a trip out to Bloomfield Hills fit the bill perfectly. We didn’t know what to expect when we got to Cranbrook, would there be parking, would there be a line to get it, would it be so crowded we wouldn’t be able to see anything if we did get in? 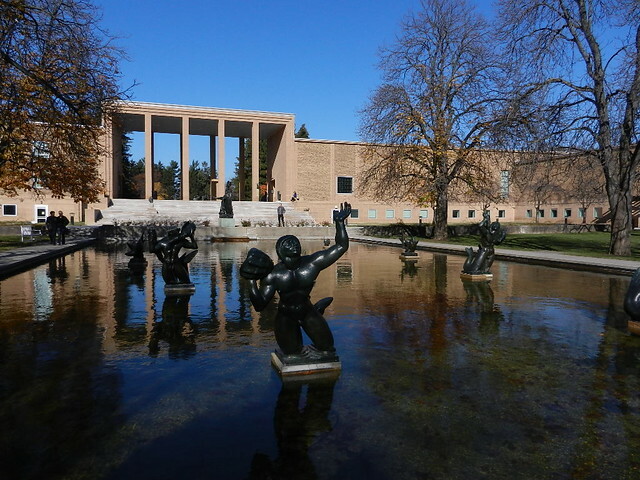 We were pleasantly surprised when we found a great parking spot right by the museum, and then again, when we walked right in. 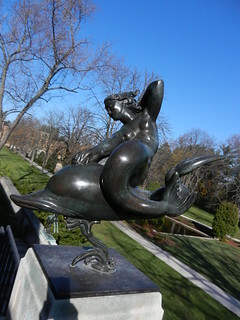 Our timing was right on, as there was a tour of the vault, aka the collections wing at 1pm. The new exhibit is called “No object is an Island”, it was an interesting pairing of artists who previously went to Cranbrook with today’s contemporary artists. We had just enough time to finish looking around when the guide gathered us together to go down to the vault. It was all very surreal to me, like being in some Hollywood film where a big heist is about to take place. We entered through the curved steel door to the faint sound of a tripped alarm in the background. The door slid closed behind us and we started our walk down the concrete block hallway. 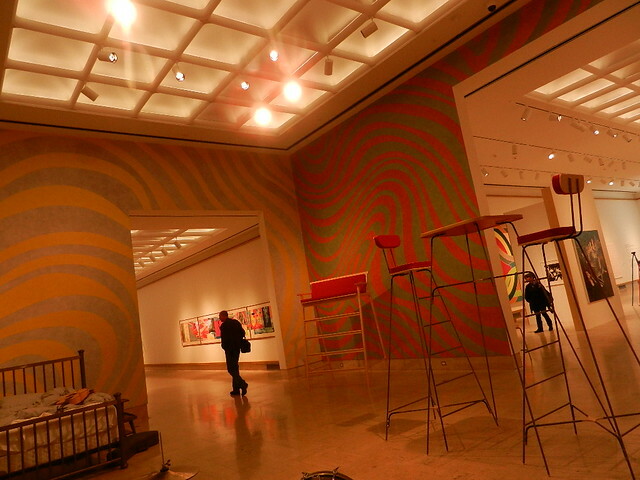 It is all so modern and high-tech looking, a grey maze of dimly lit hallways, the ceiling has a cage like covering suspended over it, art objects are displayed in small rooms behind a glass walls, it feels very futuristic. We were taken into different rooms where the collections are stored; the brilliance of the new wing is that whatever is not on view in the museum is stored in a manner where it can be easily accessed and observed by students and the public community when desired. It was a fascinating tour. We continued our lovely drive, stopping in at the Village of Franklin. This tiny enclave oozes charm, from the historic homes to the quaint shops, it’s hard to pass through town without stopping. 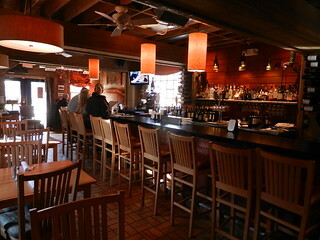 We were ready for lunch and the Franklin Grill and Tavern looked very inviting. Built in the 1840’s the building was originally home to the local carriage and blacksmith shop, the uses changed over the years and in 2001 it became the grill. The building is painted barn red with pretty white trim, the outside is adorned in Autumn decor. The inside has a sort of rustic-contemporary feel to it, a wood rafter ceiling and the same barn red colored walls works well and feels very comfortable. The menu changes with the seasons, and supports Michigan farmers. Everything sounded delicious, and every plate that went by made us rethink our selection. Finally we settled on the Art of Sicily sandwich; artichokes, mushrooms, spinach, and red onion all grilled and placed on a wonderful focaccia bread then topped with mozzarella and a balsamic marinade, it was sooooo good! 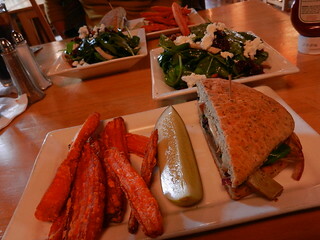 Served alongside were the best sweet potato fries I have ever eaten. Thick, steak cut pieces of sweet potato, so crispy on the outside, there was a nice crunch biting into them, yet moist and tender on the inside. The Turkey Stretch salad was wonderful too; roasted turkey breast cut into thick strips placed on a bed of fresh baby spinach, sprinkled with toasted walnuts, dried cherries, the perfect amount of goat cheese and a tasty chive vinaigrette, it was outstanding. $8 for the sandwich and $12 for the salad, not bad, the quality of food is worth it. It was a really nice experience, the staff was great, the atmosphere relaxing, and a menu that left us wanting to come back soon. 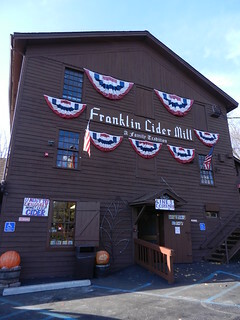 We left the car parked in the back parking lot and walked over to the Franklin Cider Mill. Completed in 1837, the mill has been a staple of Franklin for generations and has a huge local following. 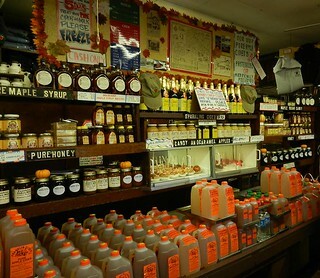 We make at least one trip here each Fall, you are always guaranteed hot donuts and great cider. 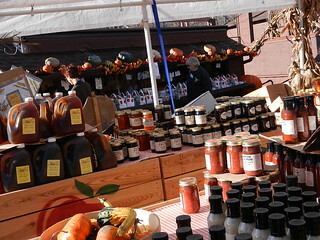 The outside has that great cider mill appeal; quaint historic structure situated on a river, offering everything from apples, jams, local honey, caramel and candy apples and Michigan squash to pies, scones, breads, and their famous cinnamon spice donuts. They only serve the one kind of donut here, which makes it easy for people who have a hard time making up their mind. We purchased our donuts which were handed over to us in a brown paper bag, you could feel the heat coming through. By the time we made our way outdoors to eat them, a small grease stain had formed on the bottom of the bag, assuring us that they would be excellent! We ate two each and washed them down with cups of cider. Standing on the small wooden deck with an empty cup in one had and remnants of donut on the other, I looked around the place; dozens of mallards floating in the river waiting to be fed, the last remnants of Autumn color in the trees, hold out stacks of pumpkins and cornstalks and the combined scent of apples and fried donuts in the air. Wearing only a light jacket in November, going for one last ride in an old car for the season; it doesn’t get much better than this.